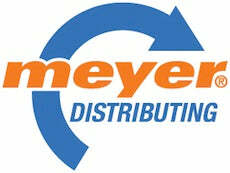 Meyer Distributing is a leader in specialty products marketing and distribution. Through numerous strategically positioned warehousing facilities, Meyer serves thousands of customers nationwide with most states via Meyer Logistics direct ship. Five Star Shop Service is a provider of high-quality specialty supplies and equipment to a variety of different markets. We are a proud dealer for top brands including CTEK! Whether you are looking for battery charging and maintenance products, air, electric, and hand tools or shop and welding supplies, Five Star Shop Service is your one-stop shop! Since 1990, Quadratec’s mission is always to deliver Expert Advice and Unbeatable Prices to enthusiasts of the legendary Jeep® CJ & Wrangler, Cherokee and Grand Cherokee. Quadratec’s courteous factory-trained sales & customer service staff has the knowledge to make sure you, and your vehicle, get exactly what you need. Even Jeeps need some TLC with proper battery charging and maintenance. 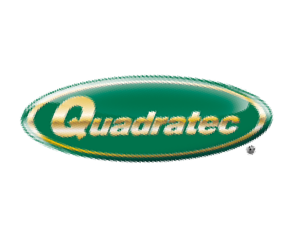 Whether it is for battery maintenance for seasonally used vehicles, battery isolation, and onboard DC/DC charging for dual battery systems to support winching or for your overlanding battery power support needs, Quadratec can provide expertise in those areas with quality CTEK products! 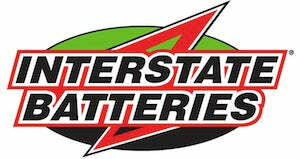 Enjoying a reputation for top-quality products, business innovations, and consistently reliable service, Interstate Batteries is the No. 1 replacement brand battery in North America. Now over a billion dollar, privately-held corporation, our enterprise continues to thrive on our innovation as well as our good old-fashioned business principles. Our story started in 1979 when two brothers started an Interstate Battery Distributorship in Western Washington. The fledgling company had its warehouse in a garage and its accounting office was in one of their kitchens. Their father was pressed into service to help with deliveries and offer much needed paternal advice. The business rapidly outgrew The Allen’s garage and kitchen because the boys knew that truly believing in and delivering great customer service was the key to success and the key to feeling good about the job they did each day. This service, and the long hours and work ethic that it required, built a business that became the #1 Interstate Battery Distributorship in North America. They are still at the helm of All Battery Sales and Service today. The company has now grown to serve all of Northwest Washington State and has a workforce of over 100 enthusiastic people. The values that the brothers started the company in 1979 are still the bedrock of our belief in making a difference to our customers. With over 100 stores throughout the province, Lordco is your best bet for fast, reliable, helpful and knowledgeable advice. We pride ourselves on FAST delivery of the RIGHT parts; When it comes to auto body needs, automotive equipment, high-performance parts, RV or industrial goods, Lordco will have what you need.